What will Canada's Future Look Like? Canada is a thriving and powerful country with a rich history. Currently we have a successful immigration system, stable demographics, and some issues with the First Nations people that need to be resolved. The situation right now will not stay this way forever which is why we need to plan ahead. What is going to happen later on? Predicting the future of Canada allows us to prepare for any of the challenges it may face. Where will immigrants come from in the future? Where will they settle in Canada? 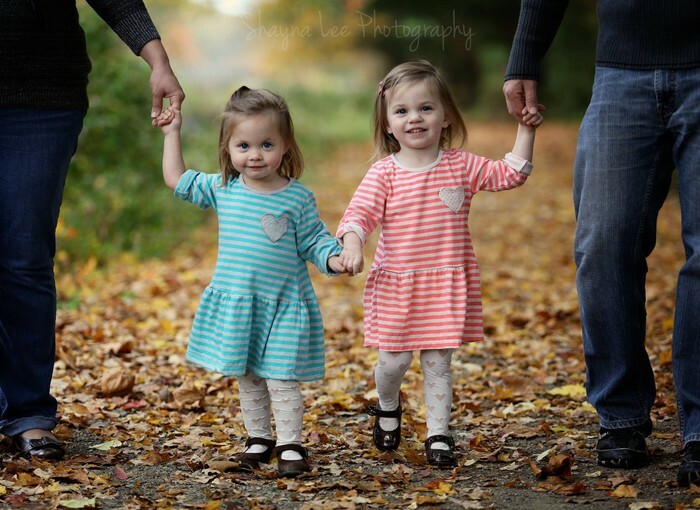 Women in Canada are now having significantly less children at older ages than 200 years ago. How do we fix our relationship with the First Nations and how can we help them so they could have a better future? Hmmm... What's The Situation Right Now? What Will Happen Later? 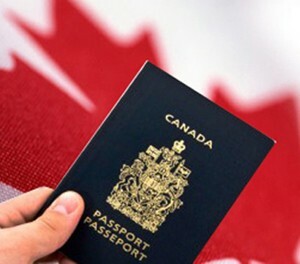 Canada has one of the largest and most successful immigration programs in the world. Each year, on average, 250 000 immigrants come to Canada (approx. 1% of Canada's pop.) due to the many pull factors. 4 types of immigrants: Business/Entrepreneur, Independent/Economic, Family, Refugee. Majority of immigrants are business/entrepreneur and economic immigrants. They play an important role in the Canadian economy and contribute the most. 3 countries providing the most immigrants: China, India, the Philippines (make up approx. 1/3 of immigrants). Most immigrants live in Ontario, Quebec, British Columbia, and Alberta where the large cities are located. These cities are good places to start businesses and work since the population is large there. Immigration is crucial to Canada's population and economic growth. We cannot only depend on Canada's natural increase rate because our population is not large enough to fill all the jobs in the workforce. The occupations must be filled to ensure that Canada's economic growth remains high. Country of Origin: Countries in Asia & Northwest Africa. Currently, the continent that most immigrants come from is Asia. Also, the number of immigrants from Africa are starting to increase (as shown in the graph below). Some nations in these continents have poor conditions. Pull Factors: Location. Eastern Asia is close to the west coast of Canada (Pacific Ocean) and Northwest Africa is close to the East coat of Canada (Atlantic Ocean). Other pull factors include natural environment, human rights, safety & peace, healthcare. Canada is also well know for its child tax benefit. Province of Settlement: Manitoba & Saskatchewan (prairie provinces). Saskatoon & and Regina in Saskatchewan have a rapidly-growing population as well as Winnipeg in Manitoba. Saskatoon: 3.2%, Regina: 2.8%, Winnipeg: 1.6%. As the population of these cities grow, the economy will prosper as well. According to this graph, starting from 1985, the general trend of the number of immigrants and the immigration rate is increasing. 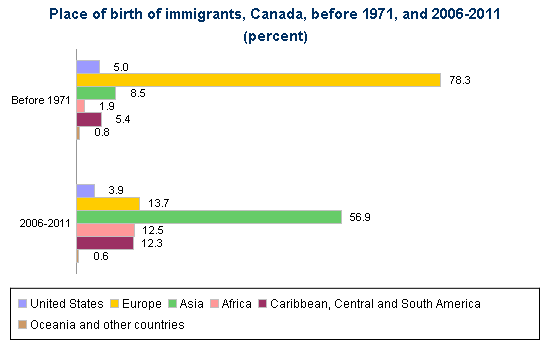 This graph shows where Canadian immigrants were born in the past and currently. The majority of immigrants used to come from Europe and now most come from Asia. Many African immigrants come to Canada today which is a change from before 1971. Colin Singer, an immigration lawyer talks about Canada's demographics and how it is declining. The Canadian population growth is slower and slower and the population is ageing significantly. This is why (young) immigrants are a necessity in keeping our nation prosperous. Fertility rate dropped in the 1800s. Since 1971, it couldn't replace the population. Population growth (even though slow) is still possible with Canada's low natural increase because it has a high net migration rate. Birth rate continues to drop. Canada could potentially enter stage 5 of demographic transition model (more deaths than births; pop. slow decrease). Birth Rate: Decrease. This factor is affected by the fertility rate. Some couples will not have any kids. Death Rate: Decrease. Trend declining. Canada's healthcare is always improving and we have more & more medical knowledge. Money is put into research and technology is improving (detect & treat cancer, stem cells etc). Immigration Rate: Increase. Canada needs many more immigrants to ensure population and economic growth. The government could possibly start advertising immigration again just like the 1900s (expansion of Canada West). Also, currently conflicts and war are occurring around the world, more refugees in the future. Emigration Rate: Increase. Some Canadians are worried & realize that the pop. growth is slowing down which causes the economic growth to slow down as well. Immigrate to countries with large pop. growth such as the U.S.
Net Migration Rate: Stays the same. Both the immigration and emigration rate increased. Population Growth Rate: Decrease. Pop. growth = natural increase+net migration. Net migration is the same but natural increase decreases. Dependency Load: Increase. Since death rate is decreasing, people are living longer. Increase in older adults (not in workforce). An article on www.canadianbusiness.com stated that the Millennials (currently ages 15-35) are now the largest generation in the workforce. In 2060, even the youngest of them will be close to retiring. A large group is leaving the workforce and adding onto the dependency load. At the same time, the low birthrate causes a small younger generation entering workforce. There is a small group supporting a very large group. The general trend is that the fertility rate is declining. From about 1970 to 2011, (41 years) the rate decreased by 0.4, from 2 children/women to 1.6 children/women. In another 40 years or so, close to 2060, the fertility rate could decrease by around 0.4 again. 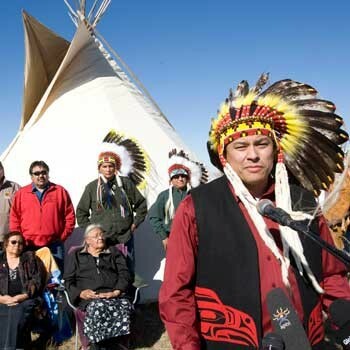 ↳Does the rights that the Indian Act promises really benefit First Nations? Mental health problems: Could be from abuse from residential schools in the past. Suicide & self-harm (number 1 cause of death for FN youth & adults), substance abuse, post-traumatic stress disorder. In 2060 the Indian Act will be changed or possibly removed. The awareness of the First Nations' unfair situation will increase. 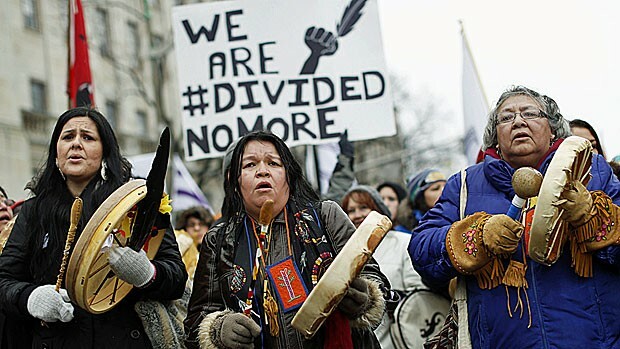 Many Canadian citizens will side with the Aboriginal people and support them. The Indian Act has no actual purpose to the First Nations and does benefit them in any way. The government could realize what is happening and reconsider the Act. They may change the document and add benefits the the First Nations community. First Nations children will receive better education just like the rest of Canadian children. With a good education, they can contribute to society as well. With the right resources, Aboriginal children will succeed. First Nations culture & heritage will disappear. In the 2011 National Household Survey, 17.2% of Canadians with Aboriginal identity were able to have a conversation in an Aboriginal language. That's less than a quarter of the First Nations population. From 2006 to 2011 the percentage of people who could speak an Aboriginal language decreased by 2%. If this trend continues, by 2060, none of the First Nations can speak the language. First Nations protesting outside Parliament Hill. They've decided to take action and are trying to communicate with the Prime Minister. This shows that they are very worried about their situation and future. The Aboriginal people feel isolated with the rest of society.They do not want to be divided any more like the poster states. When the government see this, they know how much the situation has impacted the First Nations community. AUDIO: How Will My Life Be Different in 2060 Than the Life My Parents Currently Have in Canada? The future of Canada is going to be very different from now. We must find a way to make sure the immigration rate increases because the Canadian population growth is purely depending on new immigrants. This way our economy can continue to grow and strive. Also, the First Nations can look forward to a better life in the future. Scott, Graham F. "Millennial Workers Now Outnumber Gen Xers and Boomers." Canadian Business Your Source For Business News. 3 June 2015. Web. 19 Oct. 2015. <http://www.canadianbusiness.com/innovation/the-millennial-majority-workforce/>. "First Nations and Inuit Health." Mental Health and Wellness. 27 Jan. 2015. Web. 19 Oct. 2015. <http://www.hc-sc.gc.ca/fniah-spnia/promotion/mental/index-eng.php>. "Aboriginal Peoples and Language." Aboriginal Peoples and Language. Web. 19 Oct. 2015. <http://www12.statcan.gc.ca/nhs-enm/2011/as-sa/99-011-x/99-011-x2011003_1-eng.cfm>. "The World Factbook." Central Intelligence Agency. Central Intelligence Agency. Web. 19 Oct. 2015. <https://www.cia.gov/library/publications/the-world-factbook/geos/ca.html>.